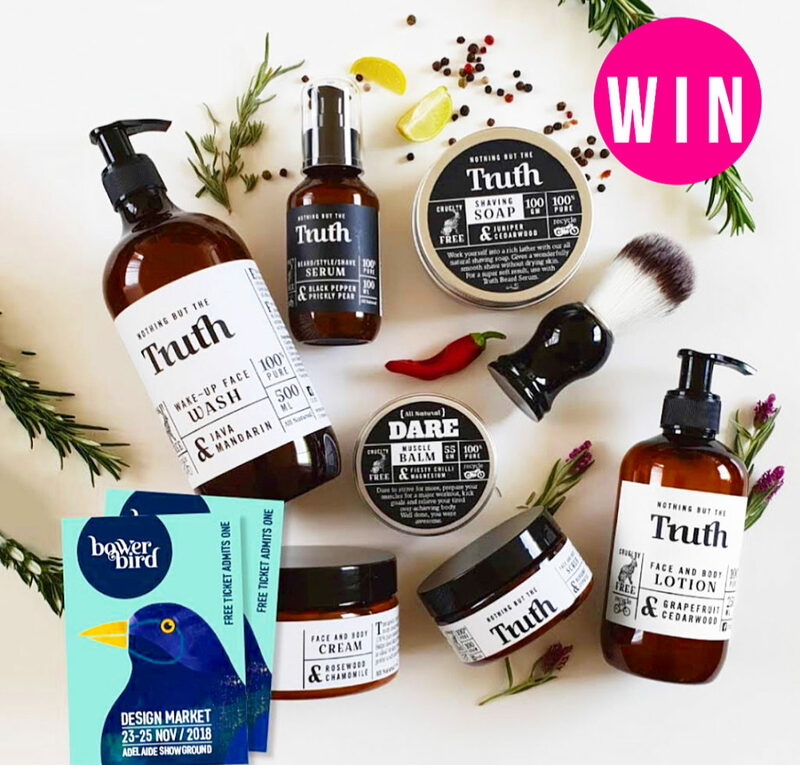 WIN a Truth Cosmetics gift pack and tickets to the next Bowerbird Design Markets for 2 people valued at $295! The next Bowerbird Design Market is on the 23rd – 25th of November at the Adelaide Showground. The Bowerbird Markets are AMAZING, since they celebrate and showcase so many local, creative businesses (like Truth Cosmetics) and also brings in new Designers from interstate. Prize includes :: 500ml Wake Up Face Wash, 250ml and 125ml Face and Body Lotion, 240g and 100g Face and Body Scrub, 240g and 100g Face and Body Cream, 1 Beard/Style/Shave Serum, 1 Vegan Shaving Brush, 1 Dare Feisty Chilli and Magnesium Muscle Balm, 1 Juniper and Cedarwood Shaving Soap (all by Truth Cosmetics), plus 2 x tickets to Bowerbird Design Market. To enter on our Instagram, TAG a friend who deserves this and FOLLOW @bowerbird.au and @truth_cosmetics to be in the running to win. Photo (above) will be posted on Adelady Facebook and Instagram, Monday November 5, 2018 and the winner announced on Adelady Facebook and Adelady Instagram, Wednesday November 7, 2018. Winner must live in South Australia and be over 18 years old. Prize to be collected from the Adelady office (78 Edmund Ave Unley SA 5066). 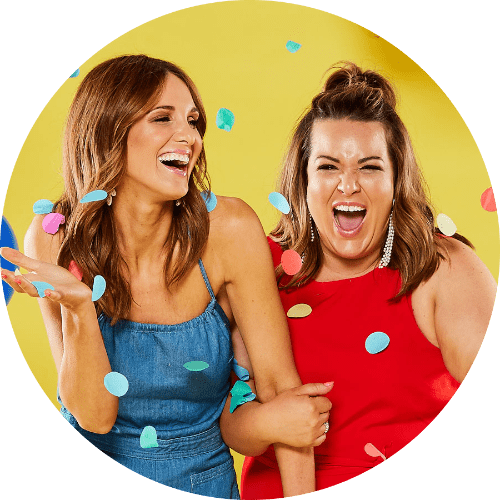 Tickets to Bowerbird valid from the 23rd – 25th November 2018. Previous Post23 things I didn't expect to miss about Adelaide!